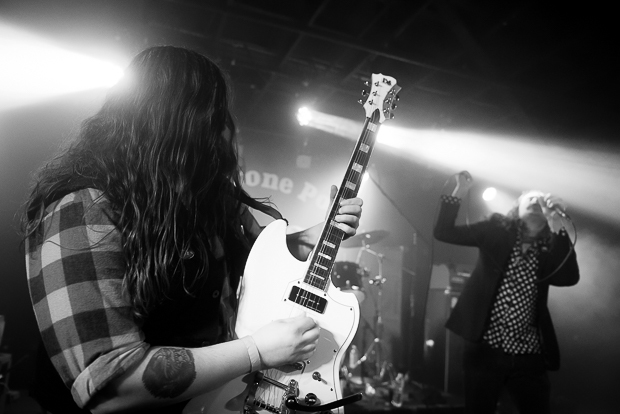 Last weekend, the legendary Stone Pony down in Asbury Park, NJ celebrated its 45th birthday, appropriately, with some of the area’s best up and coming local talents. The packed out show featured Strange Eclipse and Little Vicious along with Pony veterans The Vansaders, Lowlight and the riotous The Battery Electric. Check out Mike Petzinger‘s shots of all of the action below and be sure to book yourself a weekend down at the best shoreside scene you could hope to encounter soon, yah dingus.